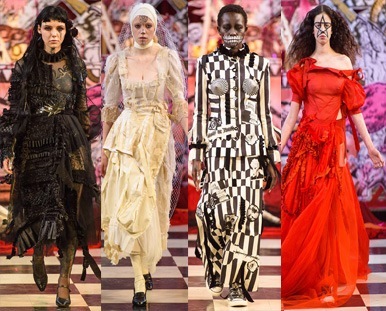 This isn’t a prelude to Halloween: it is Turkish fashion designer Dilara Findikoglu’s Spring/Summer 2018 collection. Seriously, what on earth is St Andrew Holborn playing at? How is this consistent with its mission? Did the resident clergy approve this event? Did the Rt Rev’d Jonathan Baker, Bishop of Fulham, even know about it? How is it possible that a sacred space can be used for what can only be described as Lucifer lauding? 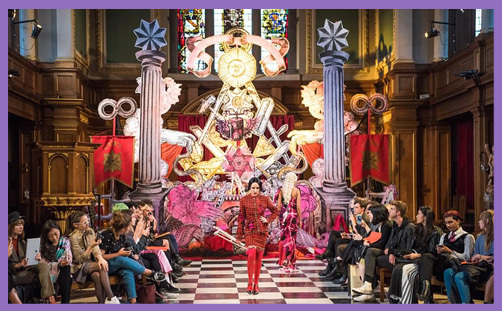 How does hosting a Satanic Fashion Show glorify God? Does “any event” really stretch to Satan adulation? 4.9 The Client must seek the written consent of St Andrew Holborn to put up any display in the Room. 14:17 comply at all times with St Andrew Holborn’s no smoking policy. Smoking is not permitted anywhere on the Premises. So no smoking, but the glorification of Satan is cool. O, for goodness’ sake, it’s just a fashion show, you say. 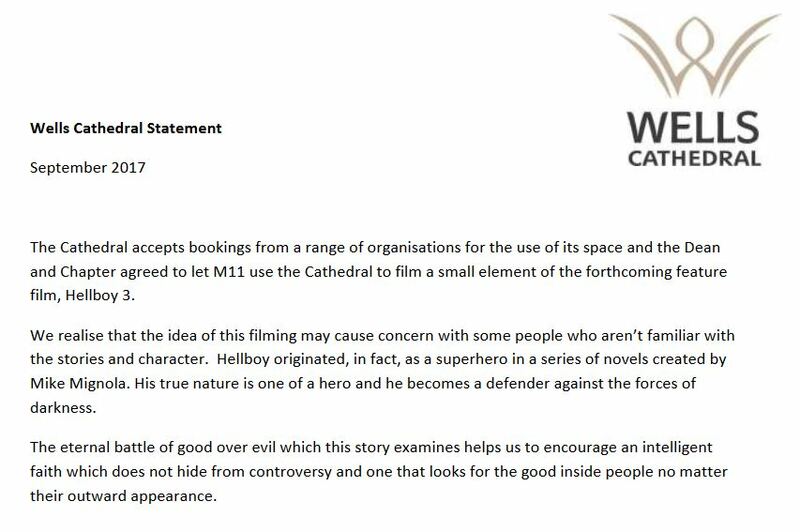 It’s all completely harmless – no different, in fact, from a church hosting concerts, or a cathedral allowing Hellboy: Rise of the Blood Queen to be filmed in its sanctuary. Ah, but it is, it is. This is wholly consistent with the Cathedral’s mission, to be “an instrument of God’s mission where the Christian faith is explored, practised, preached, taught and interpreted”. This is no different from a church hosting a theatrical production of (for example) Dr Faustus: the protagonist may sell his soul to Mephistopheles and, unable to repent, end up in Hell, but that is consistent with the gospel of salvation and the saving grace of Christ, is it not? Dr Faustus does not make Satan alluring; Hellboy doesn’t bewitch viewers with the virtues of Lucifer worship and the benefits of a once-in-a-lifetime holiday in hell, does it? It wasn’t a Satanic Fashion Show, but a Masonic Fashion Show.